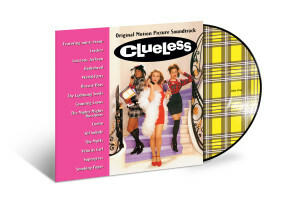 According to Entertainment Weekly, on April 7th Universal Music will release a vinyl reissue of the Clueless Soundtrack. Clueless helped bring Luscious Jackson to the masses with their hit “Here.” Urban Outfitters will have an exclusive plaid black and yellow vinyl edition for sale for $36. Or pick up the standard vinyl version from ” title=”Amazon” target=”_blank”>Amazon for $23 and help support the site!